ONDŘEJ HANUS is a Czech poet, translator and critic. He has published two collections, Stínohrad (Shadowfort, 2008), alluded to here in “Fig. 40,” and Výjevy (A Book of Figures, 2013), for which he received the Jiří Orten Prize, and from which the poems here are taken. His third collection, entitled Volné verše (Open Forms), is published in 2017. 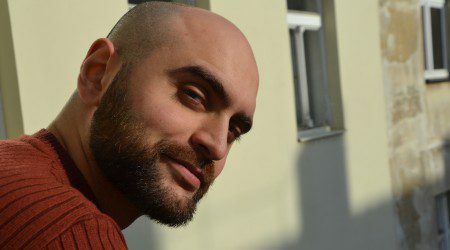 He works as a literary editor at Plus publishing in Prague. JUSTIN QUINN works at the University of West Bohemia and his translations of Bohuslav Reynek, The Well at Morning: Selected Poems, 1925-1971, have just been published.